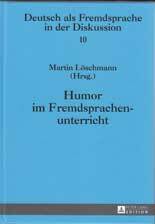 Hurra, der Humorband ist da! Mein heute, am 27. Nov. 2015, kreierter Witz. X: Die Nahles* hat aber in letzter Zeit zugenommen. Y: Was anderes soll sie tun, wenn sie Gabriel* benachfolgen will. If this is your first visit to the People’s Republic of China, you are welcome to it. To move the lift, push button for wishing floor. If the lift enters more persons, each one should press a number of wishing floor. First pressed, first served. The lift will go up and down according to the order of the buttons pressed. You are welcome to visit the People’s Cemetery where famous Chinese composers, artists and writer are buried daily except Monday. Special cocktail for ladies with nuts.